The octopus dwells on the ocean bottom, where it crawls about on its long, flexible tentacles. It searches in every crevice for its favorite foods—crabs, lobsters, and shellfish. An octopus’s tentacles are lined with cup-like suckers that enable it to grab and hold tightly to anything it catches. The octopus then tears apart its prey with its strong parrot-like beak. Jellyfish sting in order to get food. A jellyfish is a simple, primitive sea animal with a jelly-like body. It eats other small creatures of the sea. The main part of the jellyfish’s body looks like an umbrella. Hanging down from the umbrella are string-like tentacles. The tentacles are armed with stinging cells that contain a paralyzing poison. Most jewelry is made from precious stones, mined from the earth. 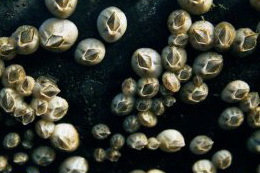 But pearls are formed inside the shells of creatures known as pearl oysters. Pearls are made of the same mother-of-pearl materials that lines the inside of the oyster’s shell. Killer whale is the name of a large porpoise. It gets its name from the popular belief that it is a blood-thirsty killer. It has a glossy black back and a white underside. These creatures often measure 30 feet in length and can weigh 10 tons. Killer whales get their name from the widely held belief that they will attack any creature in the sea – and, like man, are some of the few animals that kill for sport. 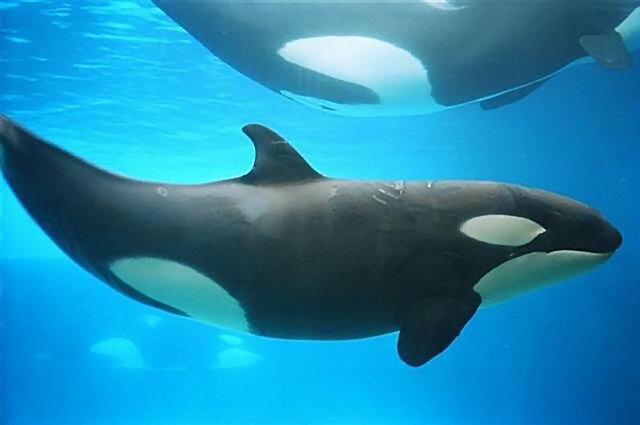 Though they have the reputation as killers, killer whales have not been known to attack swimming men or boats. Killer whales often hunt in packs, and will attack other whales many times their own size. Their mouths and throats are big enough to swallow seals, penguins, and young walruses whole. Only the tusked adult walrus holds the killer at bay. When killer whales see a seal on a floating chunk of ice, they rush up under the ice and crash into it, knocking the victim into the water. Killer whales also feed on fish and even sea birds. 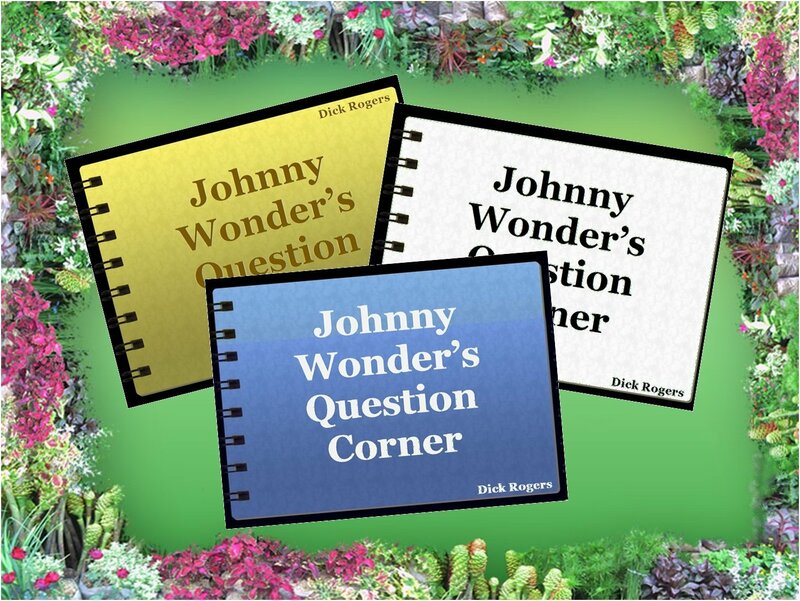 Which is the largest shark? 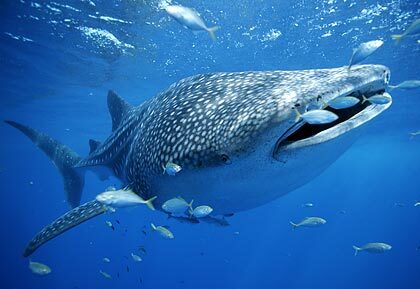 The largest known living shark is the whale shark which is often more than 50 feet long and weights several tons. It is also the biggest of all fishes. Whale sharks can easily be recognized by the lines of pale spots on a grayish body, as well as by their huge size. Curiously enough, this biggest shark of all is completely harmless to man. Though it has jaws wide enough to swallow a man, the whale shark lives peacefully in the warm sea, eating seaweed and small fish. Sharks have the reputation for being among the most dangerous of sea creatures. There are many kinds of sharks, and while some are quite fierce, the surprising thing is that most kinds of sharks are quite harmless. 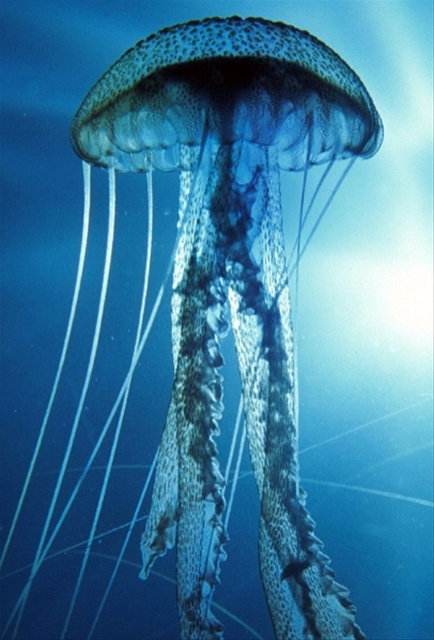 Jellyfish are unusual sea animals that have jellylike bodies and stinging tentacles, with which they capture their food. The jellyfish is among the strangest of sea creatures. It is not even a fish, but a very simple kind of sea animal that has no skeleton. 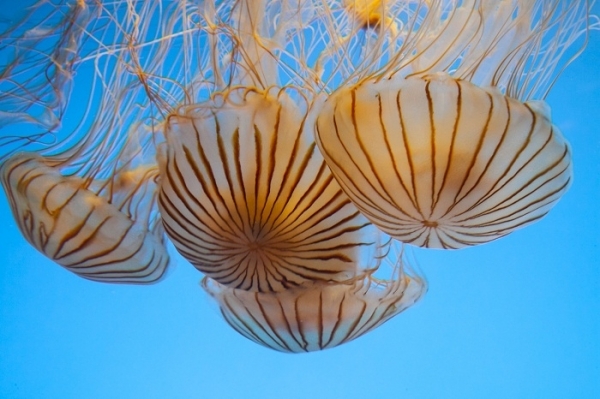 The main pair of the jellyfish’s body looks like an umbrella, and it is made up of two thin layers of tissue with jellylike materials between them. Around the rim of the umbrella are usually a number of simple eyes, and in the center of the body underneath is the mouth. Hanging down from the edge are string like tentacles, armed with batteries of stinging cells filled with paralyzing poison. If a small bumps into the jellyfish’s tentacles, it gets stung and captured for food. If you touch these tentacles, you may get stung, too!